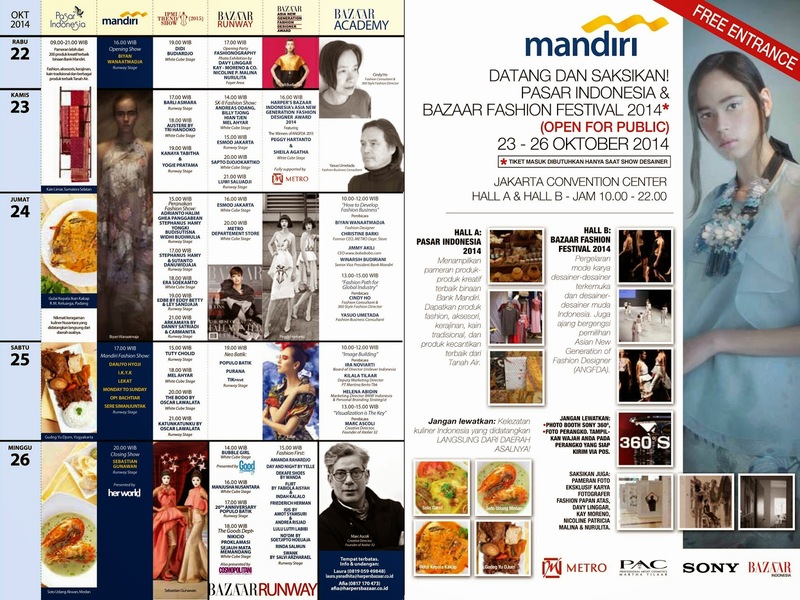 We are proud to present Pasar Indonesia x Bazaar Fashion Festival 2014, 22 - 26 October 2014 at Jakarta Convention Center Hall A - B. There will be loads of beautiful highly-aesthetic Indonesian products from Tenun cloths to vintage Batik, numerous choices of authentic Indonesian cuisines, fashion shows and fashion presentations from Indonesian designers, fashion seminars by some of the big names in international fashion industry, and also photo exhibitions by four Indonesian top fashion photographers! 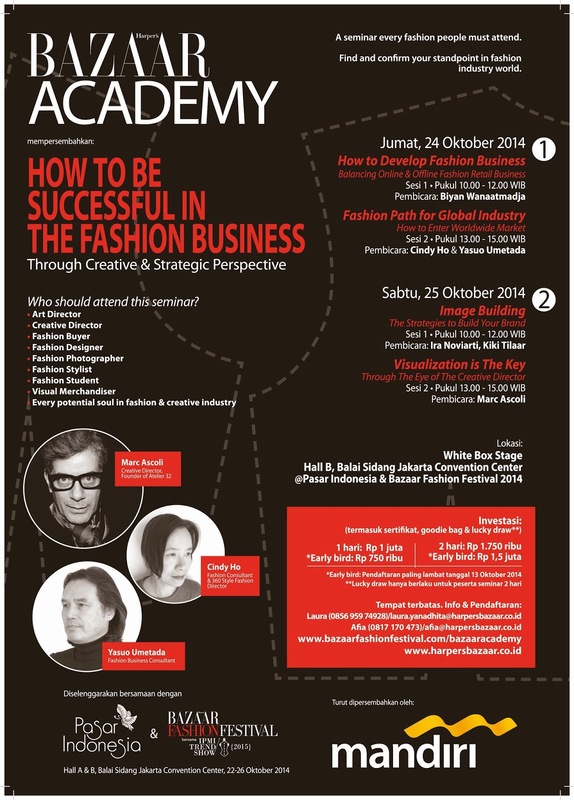 Do not miss this most anticipated fashion event and I'll see you there.